Auckland, eh! Thank goodness this sort of thing would never happen here in Traditional Values city, Dunedin. Wait till the truth comes about Riccarton Road on the Taieri. Things could get very interesting. …Westland District Council staff member…. …apologies, can’t find URL for this. Delta personnel have swindled “$tens of millions” in relation to its Yaldhurst joint venture development. $tens of millions more it appears at Luggate and Jacks Point. How many years will they get?? Amazing, a dead man steals 152+ cars on his own and only two Auckland crooks get jailed when the whole department was on the take. Fri, 24 Feb 2017 at 9:02 a.m.
Cameron Slater on his game, people !!!! Worth a long citation but do read the whole article at his site. ### whaleoil.co.nz Feb 24, 2017 at 8:00 a.m.
Don’t let anyone say that corruption isn’t rife in local government. 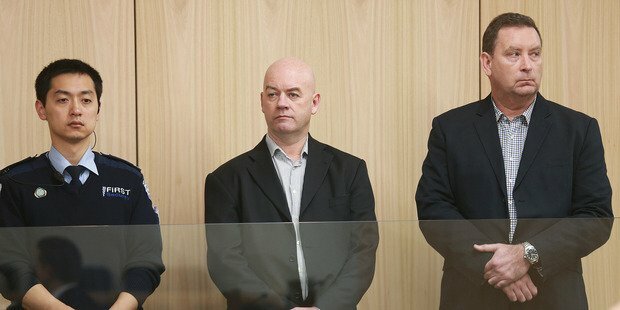 Two men were yesterday jailed for their role in the country’s largest bribery case and Auckland Transport revealed six other staff left their jobs after investigations began into the scandal. The episode has triggered warnings from the Serious Fraud Office that the case has not been completely closed – and that corruption required a toxic culture to grow. ….The pair had been found to have engaged in a seven-year corrupt relationship where Projenz would make regular payments to [Murray] Noone, overall amounting to more than $1m, while the latter was employed at council-owned organisations overseeing contracts awarded to [Stephen] Borlase’s firm. Let’s not forget that there are other forms of corruption that go on every day by council workers where money isn’t exchanged, but power is exerted upon people without the legal right to do so. Malfeasance is knowing the law, limitations of law and ignoring it to exert power upon another anyway. Misfeasance is ignorantly not knowing the law and exerting power. Such as when councils process Resource Consents. More often than not planners regularly commit malfeasance and misfeasance. This happens because most council planners are lacking the skills and training in Resource Management law leading to their own interpretation and opinions influencing how they assess applications. Rather than the law telling the planner the correct process, limitations and interpretations – planners most often assume their own world view. Sometimes they [city planners] know the law but ignore it because there is nobody to police them – what happens if they ignore the law? Nothing. But mostly they just don’t know it. In other examples, councils themselves can break the law knowingly and nothing happens. ….When the law is broken by council officers it is corruption. It’s a type of corruption. And it’s a culture in NZ local government. We’ve all experienced it. This culture creates the environments where clowns like Murray No-one start to think they can accept bribes in return for contracts. Big corruption starts in little places. The ignoring of the rule of law. Which our local government officials are really good at doing. I think the problem is that we don’t police local government…….